We offer Free First-Class shipping on all U.S. orders of $50 or more. We offer same day shipping for orders placed Mon-Fri before 2PM (EST), excluding federal holidays. 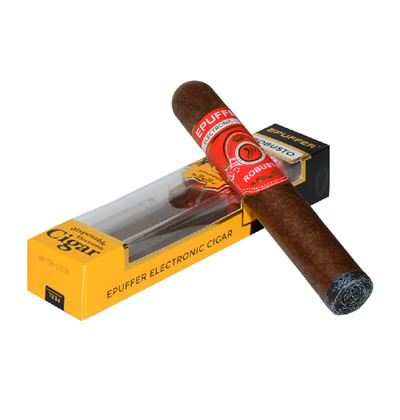 The EPUFFER Disposable Electronic Cigar features premium Cuban Cigar taste and lasts for approximately 1800 puffs, which is equivalent of around 10-12 cigars. 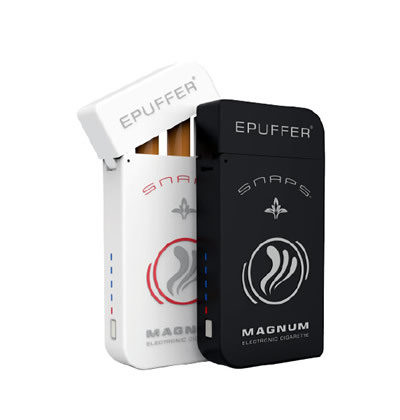 The ePuffer disposable electronic cigar comes fully charged and ready to use out of the box. BUNDLED WITH POINT OF SALE (POS) DISPLAY. RETAIL COUNTER READY! The Electronic cigar allows smokers to enjoy the same pleasure as smoking traditional cigar by imitating the whole process of smoking. 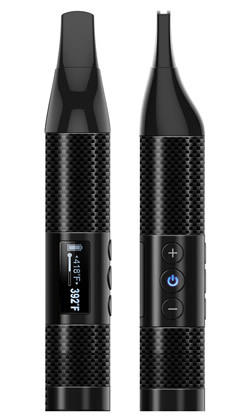 The EPUFFER Electronic Cigar produces harmless vapor that looks and feels like real smoke. 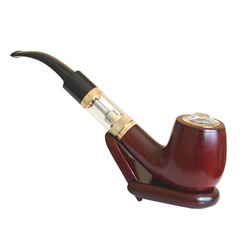 It is truly a smokeless alternative to smoking. Please note! Due to hygiene reasons ePuffer Disposable Electronic Cigars cannot be returned under any circumstances unless faulty. I really enjoy you Churchills ecigars, just purchased my second carton. Shipping is very fast, ordered on Monday, received today ( Wednesday ). The last order had one dud, but your customer service is very attentive and sent a replacement with my new order. Thanks epuffer! Great cigar taste and smokeless I can smoke in my office and no cigar smell! The tips feel like you are smoking a real cigar. Great product for indoor use. Hi Dionisio, thank you for the feedback. I have purchased 3 of these boxes as a newborn giveaway to family and friends. Wanted to keep the old tradition alive with a touch of technology. Thank you Epuffer, you really deliver as you say you are. Excellent product, great customer service, and fast delivery. You will get more orders from us very soon. Best value on the market. Wonderful tastes & craftsmanship! A must buy for any cigar lover. I can now "smoke" in the house & not annoy the wife. Free shipping for orders of $50 or more.